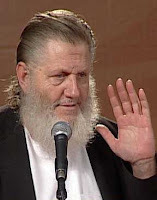 Today morning, after fulfilling the commitment of my Daily Quranic Recitation I made to myself on Sheikh Yusuf Estes's Ramadan Reminder's website , I decided to go thru my emails and found one poster about Ramadan. This poster was created by IslamicPosters, alhamdulillah. May Allah reward them abundantly for designing such interesting poster, ameen. 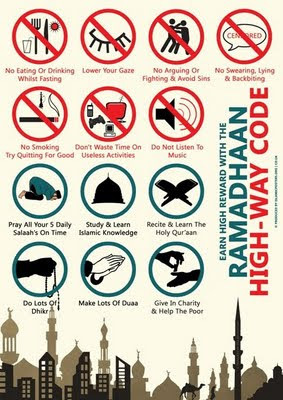 Indeed, this Ramadan Highway Code Poster truly reflects that- 1000 words worth! Here, let me share it with you. SubhanAllah, again I tell myself that this Ramadan must be THE time for me to discipline myself and change whatever needed to be changed, inshaAllah. And I know that I will await eagerly for my gifts that might come with the changes that I plan to make this Ramadan, inshaAllah!